Planning vacations can be tricky. Ideas for a hang out spot is one of them, not to mention your budget and the transportation for all those tagging along. Here are a few stylish yet affordable accommodations in Malaysia and Singapore that are kid-friendly! This hotel is attached to the shopping complex, Berjaya Times Square. Breakfast is served and free lunch for your children under 12 years old. 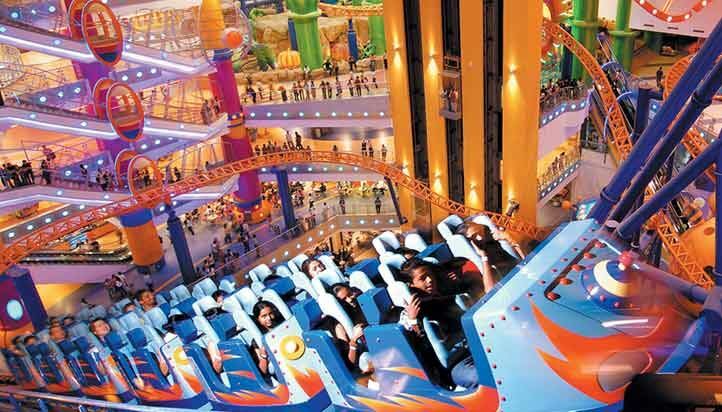 Don’t even worry about their enthusiasm, as there is plenty of fun to go around at the indoor theme park in the mall itself! Families with little ones can rest assured your child will be fine. Mattresses specifically for babies are provided. Wall designs take on a contemporary look with neon lights acts bring the venue to life. This hotel is located in Little India, providing a chance for a lovely afternoon stroll along the streets filled with shops, temples and shopping centers and some Bollywood music for that authentic ambiance! This getaway is tailored for couples looking to rest yet spend time with their children. This hotel provides babysitting services (charged, of course!) and a pampering spa as well. After getting reenergized, head over the the water theme park just outside the hotel for some splashing fun. A wildlife park lies next to the mock lagoon offering a glimpse of interesting creatures and for those clingy toddlers, a playland is located in Sunway Pyramid shopping mall. From the get go, this hotel provides a soothing ambiance sitting within close proximity to boutiques, the Botanic Garden and even Little India. The rooms are decorated to suit visitors’ needs as well. Children can also enjoy the fun cartoons and design on the walls. Moreover, toiletries for children are also provided; thus ensuring every member is tended to efficiently. Penang offers more than just taste bud tingling delicacies. A relaxing hotel stay would be splendid and Hard Rock has your kids covered. A facade of fun activities await your child in the playroom – games, hanging out with the Roxtars cool crew, cycling, foosball, socialising over video games and even a daily entertainment for the family at the pool. Away from the city to the laid-back coastal Changi district is one to take note of. The hotel sits near various eateries, providing a variety of cuisines to feast your fill. Babysitting services are available and amenities like cribs are provided, upon request. Aside from the many activities available, you can also take your kids down to the creek pool for a kiddy mingling session. There is no such thing as boredom when at ParkRoyal Resort. The Koko-Nut Kid’s Club located on ground floor provides fun and educational activities for kids aged 4-12 years. As for the babies and toddlers, babysitting service with the sufficient tools and kits provided. Teenage bookworms can also indulge themselves in the latest fashion trends and political moves in the reading area. Furama provides a family-friendly environment with its facilities. The fun begins at the playroom on the level 1. Activities and games like trampoline, drawing and building are provided along with cartoon screenings to add to the mix. Children can also enjoy the outdoors as there is a swimming pool provided. With just a minute’s walk from Sanrio Hello Kitty Town and Thomas Town, visitors can bask in ocean sunlight as they kick-start their day filled with adventure and play. A bit further down, and you’d be at the gate to the renowned Legoland theme park! Free shuttle service to the latter is also provided, scrapping any worries of transportation. And like the cherry on top, it’s 100% smoke-free! Long walks on the beach while your kids go loco indoors – sounds good! At this resort, families come first. It provides facilities catering to both mother and baby with diaper changing rooms, cribs, and even bottle sterilizing! The adventure zone is pure fun with games and activities, and phones can be purchased to check up on their children every now and then. Lunch for kids are also provided, so meals are covered as well. Why the hassle of renting a car or sending yours for a checkup, when you can hop on a bus to infinity and beyond? 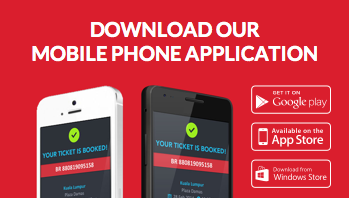 Buy your bus tickets online to your favourite destinations now at CatchThatBus!